I'm so stoked to introduce a new series! 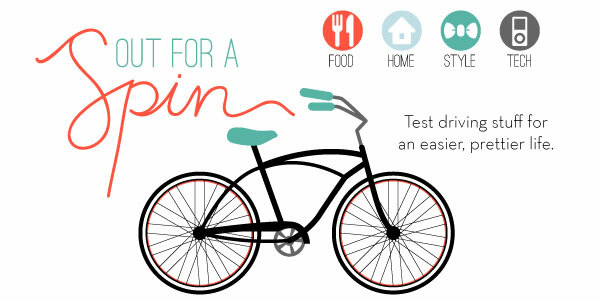 Every month Janssen and I will test drive a product/app/etc. in search of things that will make our (and your!) lives prettier and easier. This month we each tried out different feed readers. When that little pop-up message stating that Google Reader would no longer be available as of July 1st made it's appearance I think the whole internet went, "Wait...what?!?" And then there was the panic. The scramble to find other options. The alternative feed reader roundup posts. I lasted about 3 minutes on Bloglovin'. I remember giving it a try when it first came out a few years ago and I couldn't stand it then. It hasn't improved much. The one big positive is that it's easy to discover new content. By going into the "Popular Posts" tab at the top I quickly found 3 new blogs I wanted to follow. However, the browsing experience is clunky and lacks the quick scrollability that I loved about Google Reader. It's not even a contender. Pass. Next I tried The Old Reader. 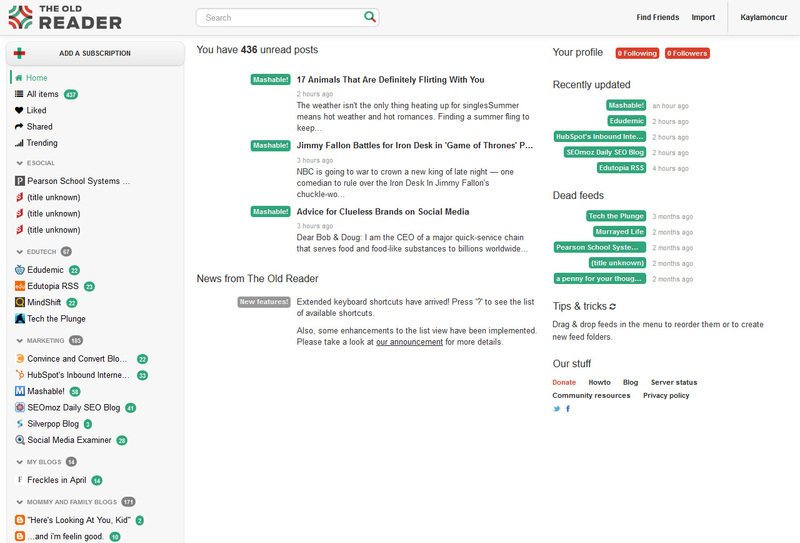 The developers loved Google Reader prior to November 2011 and sought to create a feed reader that mimicked it as much as possible. It really is just like Google Reader before they ditched the liking and sharing options in favor of G+ silliness. The one thing I DIDN'T love about TOR is that it took well over a week to import my feeds. When I submitted the file of my feeds from Google Reader I was directed to a screen that said there were over 34,000 people ahead of me. I checked a few times over the course of the week and the number slowly dwindled until finally my feeds were imported. It does mark posts as read when you scroll past them, which I know is important to some people. It is, essentially, a vintage Google Reader experience. I wanted to love it, you guys, I really did. But I guess I've grown used to a few more bells and whistles. It was just...ok. They do make it easy to rearrange and organize your feeds. It was fun to have access to the old liking and sharing options, though none of my friends are on there so sharing was kind of useless. It is a fine, basic replacement option but I was generally underwhelmed. I didn't want to like Feedly. I'm not really sure what I had against it but when my dad told me he loved it I caved and gave it a shot. I fell in love immediately. The interface is slick and intuitive, especially for a Google Reader user of 8+ years. You can easily find new blogs by clicking that magnifying glass over on the right. There was no lag time when I uploaded my feeds. Organizing feeds is a cinch. You can toggle the auto mark-as-read scroll feature in the settings. You guys, you can pin posts from within the reader. I'd probably be converted from the web interface alone, but the mobile app certainly doesn't hurt things. It offers a pretty darn good blog reading experience from my iPhone, which I have been lacking since switching from Android (which had a fantastic Google Reader app) to iPhone (which doesn't) a few years ago. And, let's be honest, all I really want is to be able to comfortably read news and blogs while laying in bed eating Cheetos. 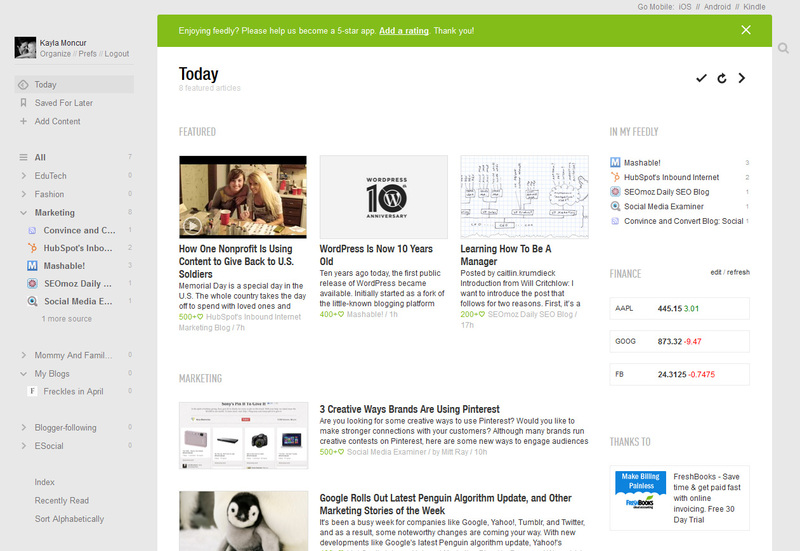 In the battle of the feed readers, Feedly easily wins the trophy. 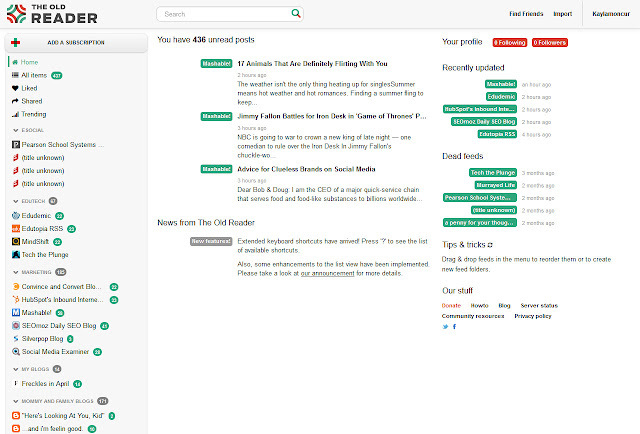 So, when Google Reader goes the way of all the Earth on July 1, I highly recommend you follow Freckles in April, Everyday Reading, and all your other favorite blogs on Feedly. Did Janssen agree? Go find out! Guess I need to try Feedly. Great review and start to a cool new series. You sold me on Feedly. :) Feedly even has different options for marking-as-read when you scroll. You can scroll titles and mark as read or only in full article view. Bless you, Feedly. I have the Feedly app on my iPad and I love it! 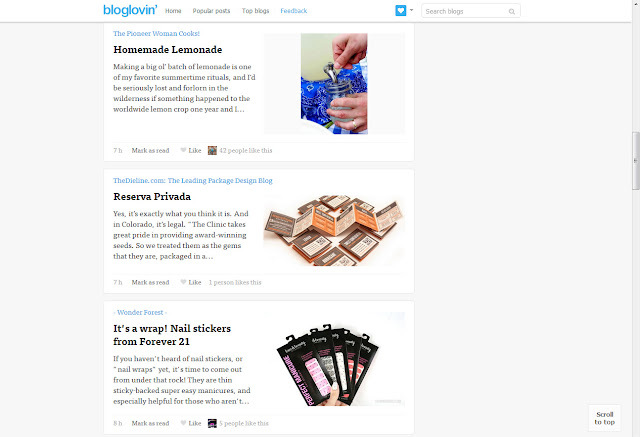 And I definitely agree with you about Bloglovin - I'm glad we have more options once google reader goes away.